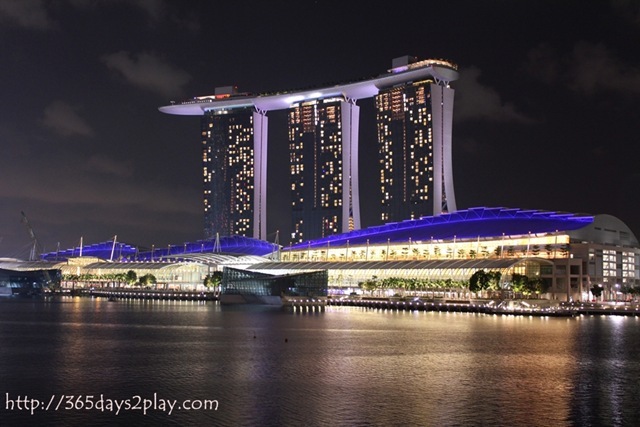 I really like the new Marina Bay area. 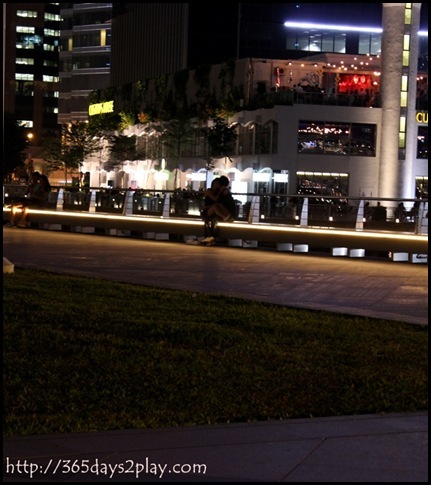 After having not worked in Shenton Way for several years, I find the whole place refreshing and revitalizing. There are so many new restaurants and cafes there! I suppose those working in Shenton Way may not feel the same way, with the 5 day work drudgery killing off any feelings of wonder. But for me, this place just exudes an enchantment that still captivates me. Here’s a picture I took of the new Marina Bay Financial District from Kinki’s Rooftop Bar. That’s the StanChart building in the background, or at least that’s what I call it. 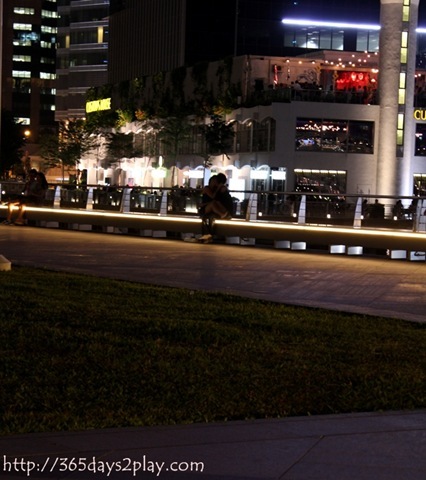 There’s a cool microbrewery and restaurant called Level33 on the top floor. 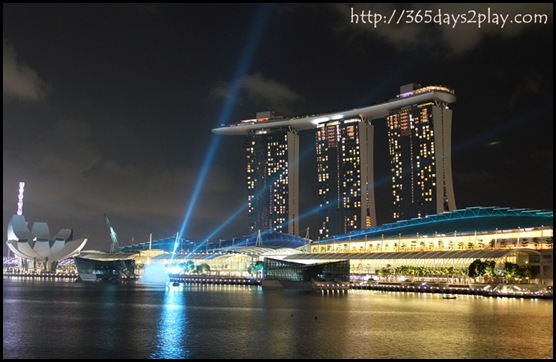 From Level33, you can get one of the best views of Marina Bay Sands as well as the Suntec area. 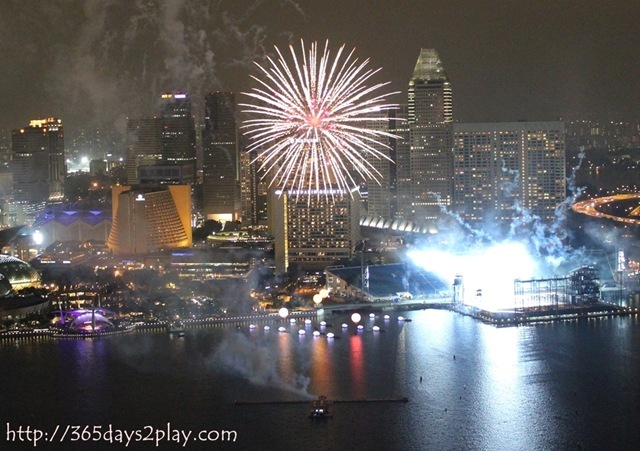 In my opinion, Level33 is also where you can get the best views of the National Day Parade fireworks, with the Suntec area and the Esplanade as your skyline. Pity those people who have to be in the office even at 9.30pm at night. In the foreground is The Promontory. It looks like an ordinary piece of flat land from this angle, but trust me, it’s not. At night, The Promontory serves as a romantic spot to get up close and personal with your sweetheart. 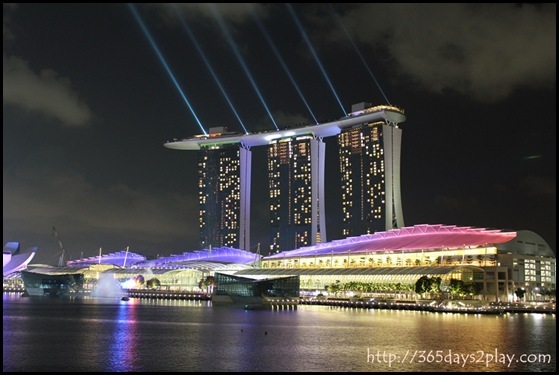 What can be more romantic than having the wonderful MBS as your backdrop and the Marina Bay waters just beyond the fencing? And the most important thing, it’s dark enough such that nobody can see your face while you’re smooching away. See the picture above? It’s dark. Lot’s of people at Customs House and lovebirds strolling along the Promontory, but yes, you will not be recognised. Kinki’s on the 2nd level and roof of Customs House. 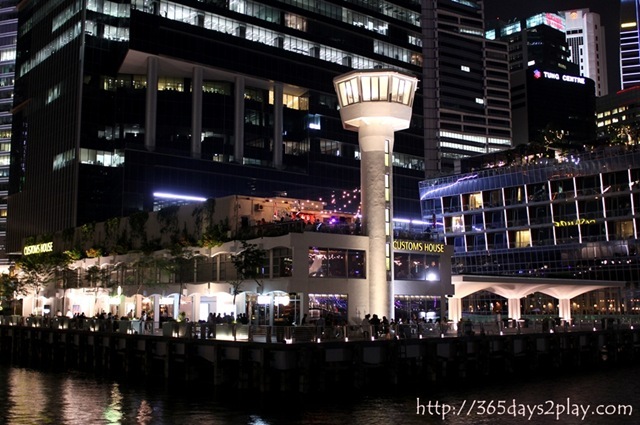 On the right of it is Fullerton Bay Hotel, also with its own rooftop restaurant and pool. 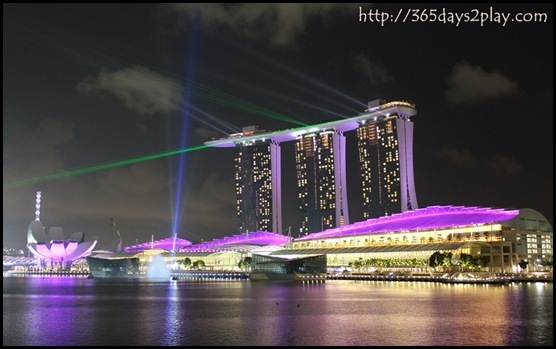 Definitely great places to watch the NDP fireworks as well. 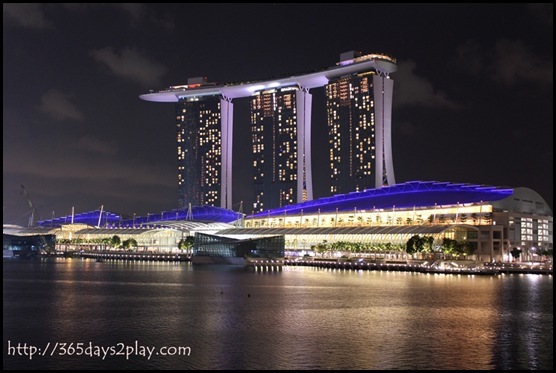 And if kissing or ogling at people kissing isn’t quite your thing, you can always take in the wonderful views of Marina Bay Sands. 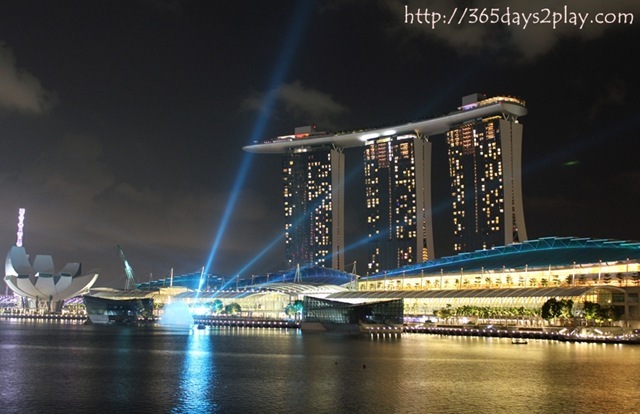 Marina Bay Sands being attacked! 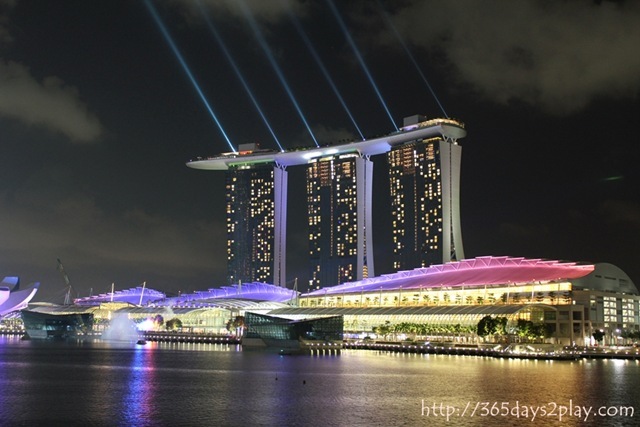 and Marina Bay Sands fights back! 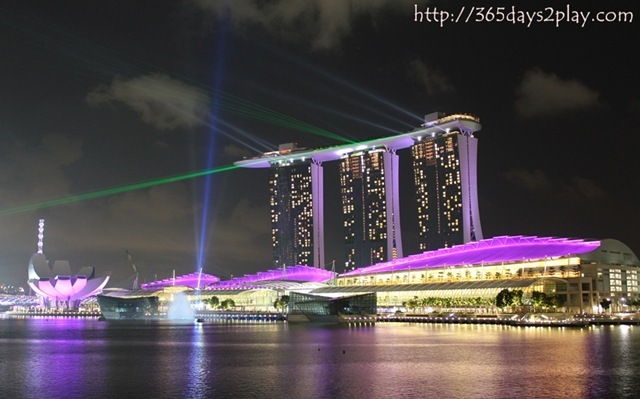 Cool pictures of Marina Bay and wow! 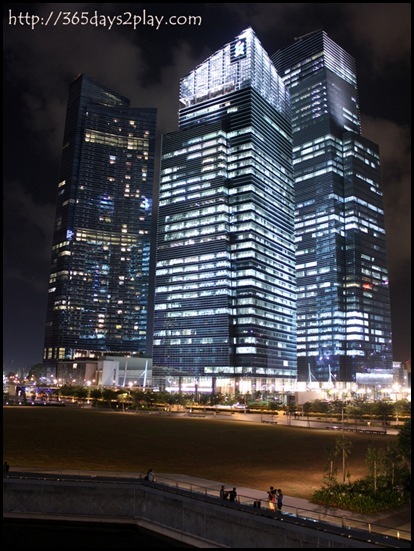 I have yet to experience the wonder of MBS at night……your photos look so amazing!